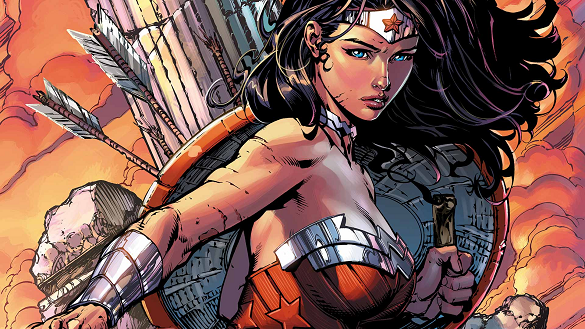 Wonder Woman is among the strongest heroines in the DC Universe. Diana’s powers are granted to her from the Gods of Olympus, thus becoming a form of demigod. Wonder Woman is very similar to Thor; for the reason both characters stem from mythology. 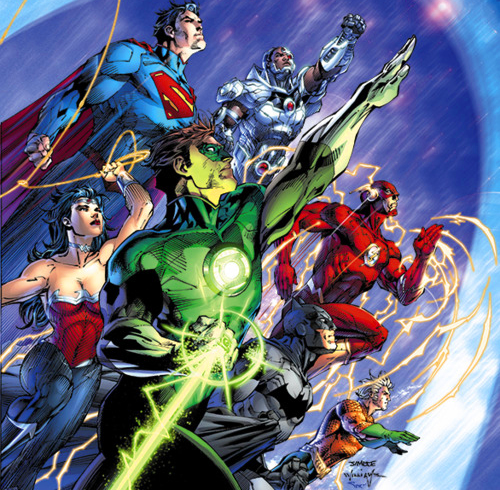 They use their godly powers to help humanity as heroes of a super team. 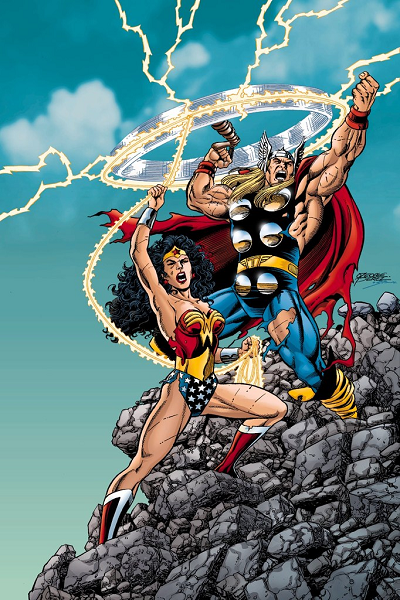 Who do you think is more powerful between Thor and Wonder Woman? Wonder Woman’s home of Themyscira is dominated by only women. This could be the major reason why Wonder Woman doesn’t have solid intimate relationships with men, like Superman and Batman. Wonder Woman finds Superman to be a match for her based on his leadership and the superhuman abilities that are similar to her own. Diana is bred to be an elite warrior of Amazon, her involvement in World Wars gives her a strong sense of field experience when entering battle with the Justice League. This experience outclasses Superman, for he must train his special powers to help benefit his role as a hero… Wonder Women finds interest in a lone warrior like Batman, because of his dark, mysterious and strategic ways as a hero. Not only that, Wonder Woman would give a mortal man much respect for his battle prowess against foes 10 times stronger than himself, without the use of any superpowers. A man putting his life on the line against the odds probably reminds Diana of Steve Trevor in some ways. This also builds enormous amounts of love and compassion in her heart for mortals. This type of love is more than enough to have the Star Sapphire Ring summoned to her every call. 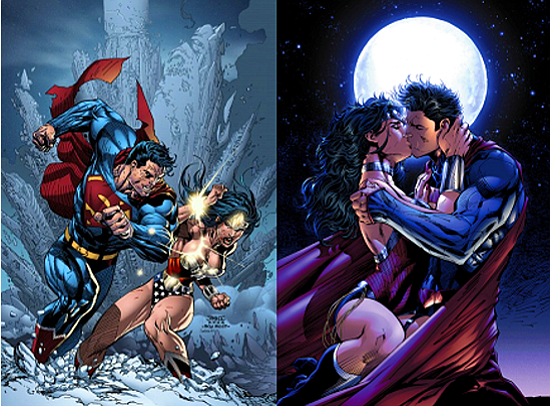 Wonder Woman made her way from the comic book, to various DC anime and cartoon series, up to the big screen. Her first appearance was in Batman vs Superman: Dawn of Justice, followed by her solo film of 2017, then the Justice League. 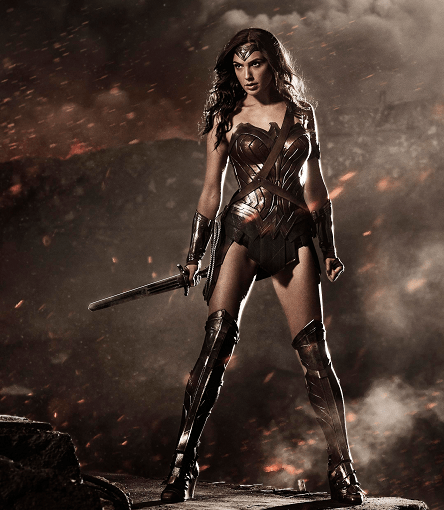 Wonder Woman was portrayed by Gal Gadot. What was your take on Gal playing Wonder Woman? Do you think she made a good displayed of the fierce Amazon warrior or what actress do you think could have done a better role? 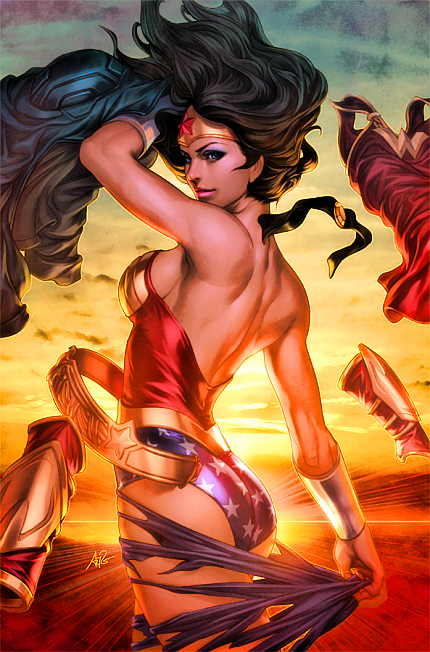 Comic Multiverse fan favorite artwork of Wonder Woman goes to deviantart artist; codename: artgerm. Excellent work! The X-Men is a super team in the Marvel Universe, the sector of the Marvel Universe where humans are born with a gene mutation that causes supernatural powers. These supernatural powers created fear throughout the world, but for good reason. Mutants such as Magneto, feel mutants should be in control of the Earth because of their powers make them godlike over the humans. The X-Men are protectors of the innocent (human and mutants) against the villainous mutants and the government. The X-Men was formed by Professor Xavier, who had a dream to help and protect mutants from the world. After years of study, Professor X turned his home into a school where he could teach mutants to control their powers. 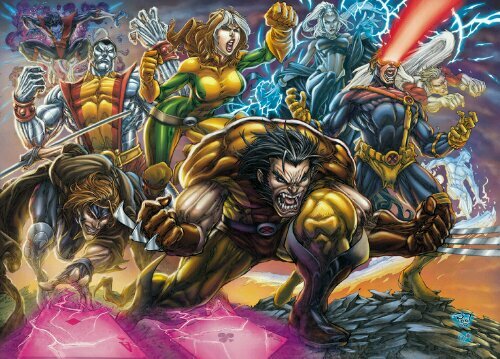 His combat team is led by Cyclops and Storm, even Wolverine is found in the forefront of them both, for his combat experience exceeds the whole team and the Professor. Jean Grey is the Professor’s right hand for the fact both are both are omega mutant levels and in the event the Professor is incapable to use his powers at hand, Jean is the telepathic backup. Over the years, the X-Men ranks have changed many times like the Avengers, either through new recruits or old members become solo heroes. The X-Men has accumulated a film series that outranks all comic movies. In this film series, fans can see origins of the team and even individual film stories like Wolverine and Deadpool. Bryan Singer is the director responsible for the majority of the films in the series. 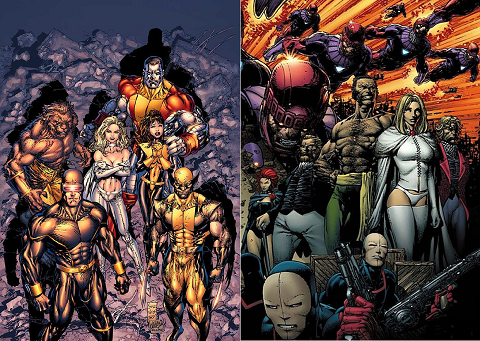 Even though the X-Men became very popular on screen, many fans feel that a lot of the cinematic timeline of the series was incorrect and not completely congruent with the blueprints of the comic books. Do you think the X-Men movies need a complete reboot or will a reboot taint the established legacy of characters and the actors that play them like Hugh Jackman as Wolverine? Carol Danvers was born of Earth and the Kree, a technologically advanced race of beings that are military based and the Kree have used their might to conquer planets to form their Empire. 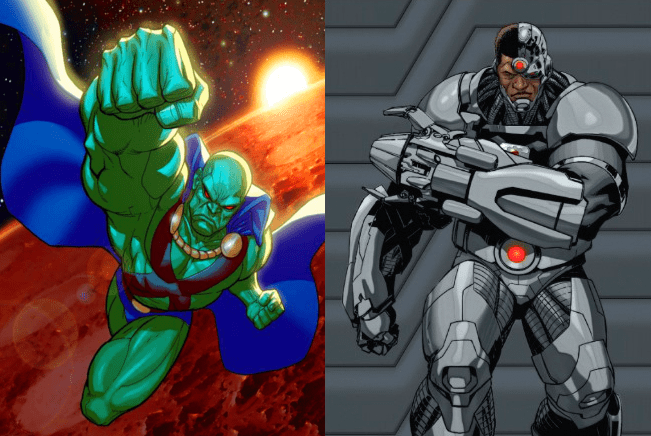 The Kree’s military function reminds comic fans of Frieza and his military might in the DBZ Universe. 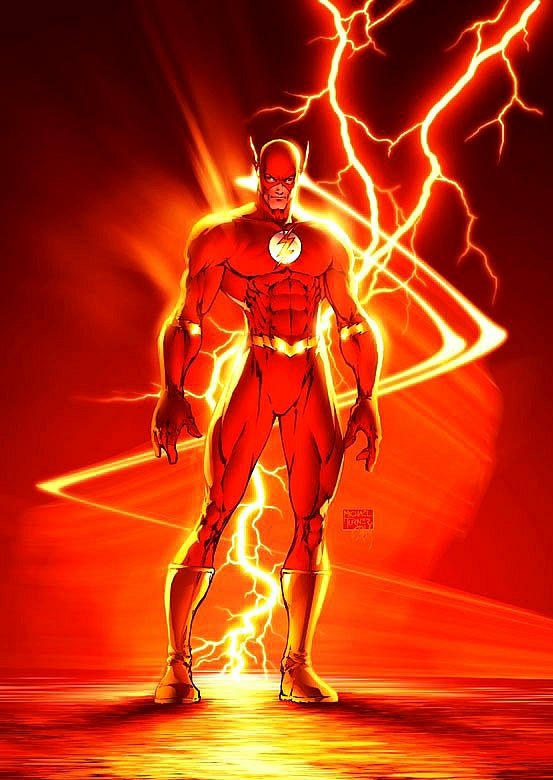 Carol has a large array of super powers that make her one of the most powerful female heroines in the universe. Carol is apart of the team called the StarForce, a military team that protects the Kree Empire. 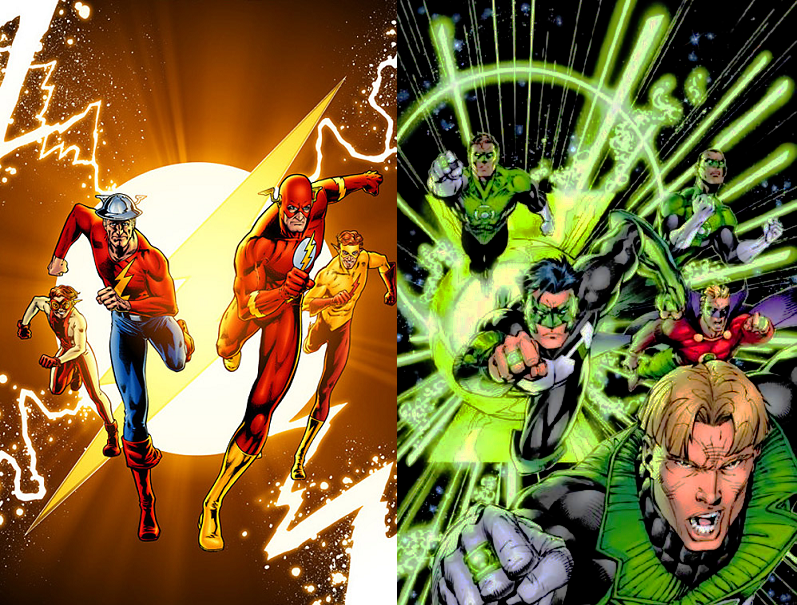 This strike force is similar to the Nova Corps and the Green Lantern Corps. Hal Jordan, Carol Danvers and Richard Rider are humans that were chosen to become apart of their cosmic military factions. Hal and Richard was chosen by their predecessor because they were near death and a replacement was needed. Since Carol is half Kree, it was easy to have her powers developed with Kree technology. 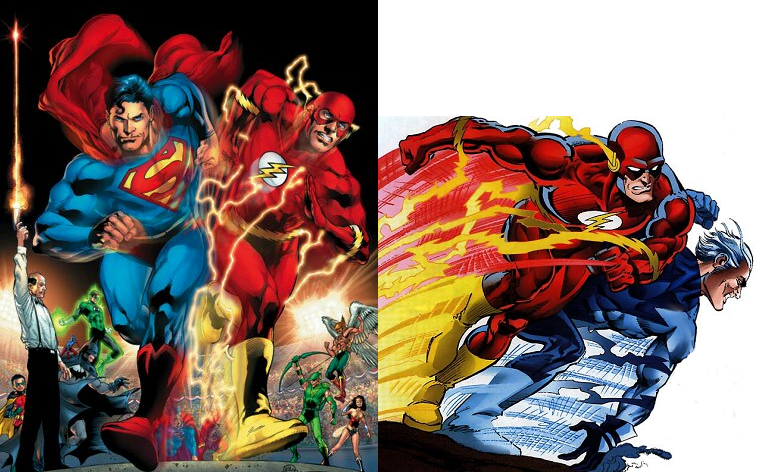 Hal and Carol share a common background as Air Force pilots, while Richard was a common citizen of Earth. The Nova Force is similar to the Central Power Battery on Oa , where power is administered to all soldiers who fight for the Corps. Later through time, Richard became the host to the entire Nova Force thus giving him the ability of the Xandarian Worldmind, which is very similar to the Supreme Intelligence of the Kree Empire. The main weakness between the three characters is their mental stability and focus. If for any reason these two aspects become compromised, the wielder of power have a great chance of becoming defeated. 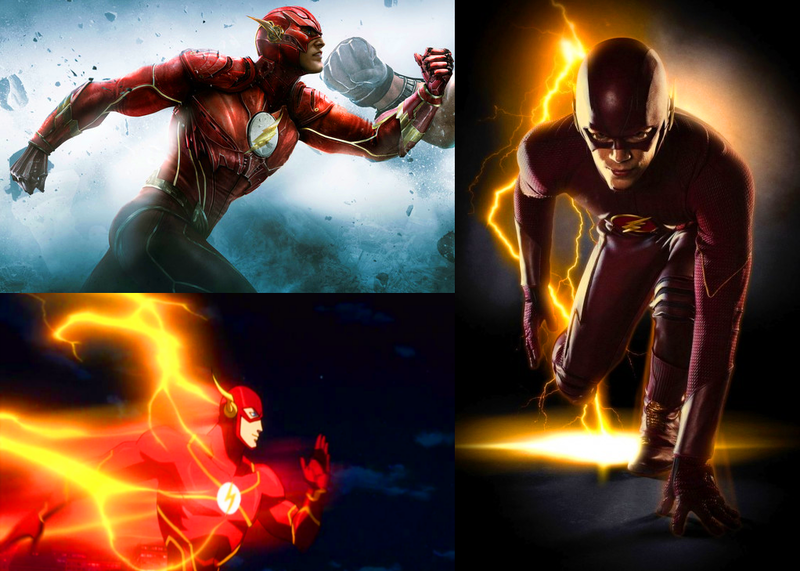 Among the three, who do you think is the strongest to weakest? The name Captain Marvel originated from Mar-Vell, a male Kree warrior who closely resembled humans on Earth instead of the blue skinned Kree. The Kree Empire and Carol had two major run-ins with the X-Men. The Kree and the Shi’ar developed a peace accord with themselves to help take on the threat of the Dark Phoenix during her rise in the universe. Before Carol was known as Captain Marvel, she went by Ms. Marvel. At this time, Carol battled with Rogue of the X-Men. Rogue absorbed much of Carol’s cosmic powers. Super strength, flight, durability, and even immortality became a permanent part of Rogues powers, where usually any power Rogue acquires is temporary. 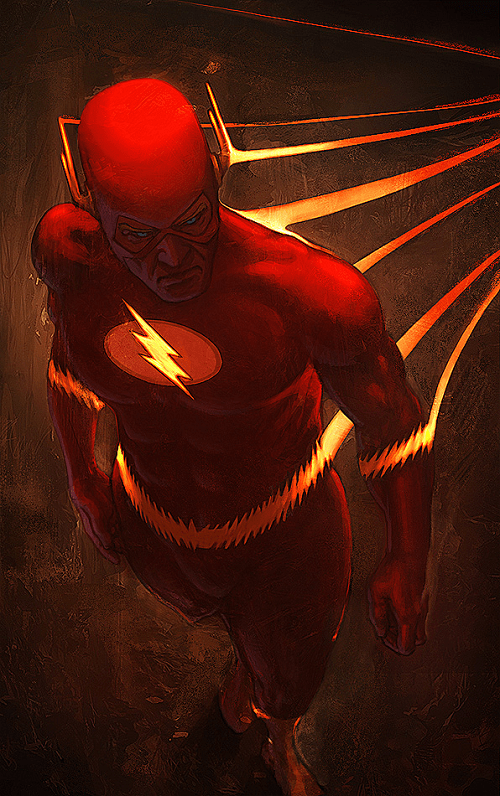 Comic Multiverse fan favorite artwork of Captain Marvel goes to the DeviantArt artist NeoArtCore! Excellent Work! 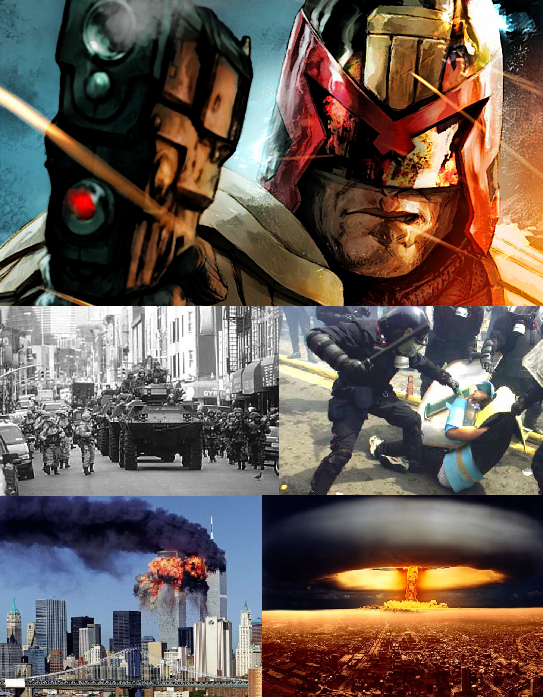 Judge Dredd comes from a future world of devastation, the result of World War III. Majority of the planet is a radioactive wasteland while the remaining human population resides in Mega Cities. Lack of resources creates desperation, ultimately leading to increased crime and civil war. To combat the chaos, Governments deploy Street Judges to enforce the law, even granting the power to convict or even execute offenders at the scene of crime. What if our police force became a force like Street Judges? We have lived in the days of terrorism, cities under martial law and even been through two World Wars. Over the years, law enforcement has used excessive force to show dominance of the law to citizens whether innocent or not. Would our world change for the better with Street Judges or will the public feel a sense of oppression and lash out in a rebellious nature? Comic fans love crossovers and battles! 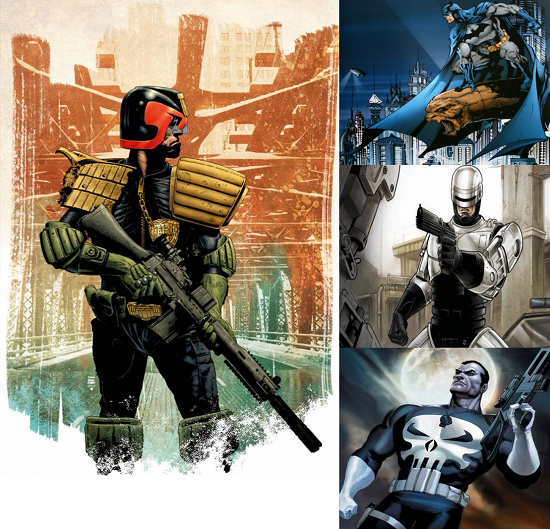 The three characters that fans who love to see against Judge Dredd is Batman, RoboCop and The Punisher. Each character operating within or outside the law to bring justice for the innocent, mainly for the reason for having a corrupt judicial or executive system. Do you think Judge Dredd can take down each of these characters one on one? 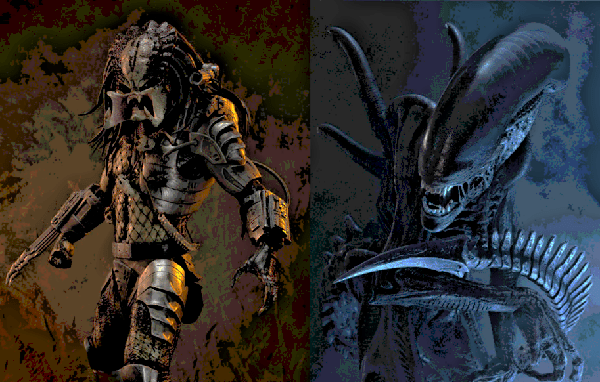 Or would it be a better that these characters band together, defeat The Predator on a game reserve planet or stop an infestation of Xenomorphs from plaguing Earth, as suggested through many crossovers? 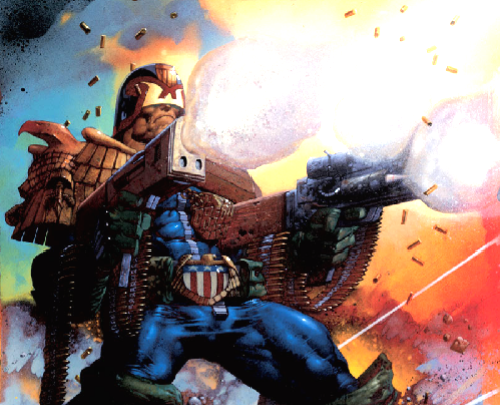 Judge Dredd transitioned from the comic book to movie screen like many comic characters. Dredd’s two feature films is the 1995 Judge Dredd and Dredd of 2012. Which do you think was the better version of Judge Dredd and will his story continue in cinema? 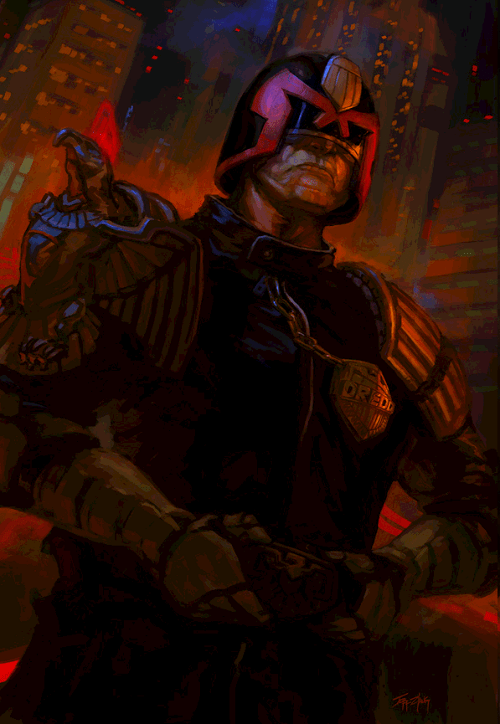 Comic Multiverse Fan Favorite artwork of Judge Dredd goes to the DeviantArt artist StuartHughe. Excellent Artwork!! Storm is an Omega Level Mutant with the primary power of controlling the weather. The magnitude of her powers can be stretch from Earth to outer space. The depths of her powers led her people to believe she was a goddess, sent to help tribes thrive during harsh weather seasons. After being discovered by Professor X, Storm learned to control her powers at a great degree and even joined his X-Men. Her commitment to the team earned Storm the leadership role in Cyclops absence. 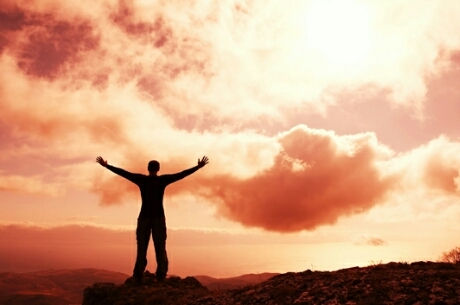 Weather is responsible for shaping the planet and way of life. We have even used the weather to harness energy and feed the population. Unstable weather conditions have taken lives, destroyed homes and cities. If humans could effectively control the weather like Storm, we could change our way of life forever. Humans could even have the ability to make Mars a living planet like Earth. Would Storm be strong enough to control the storms on Jupiter? Thor is another character in the Marvel universe that can control the weather. Because of Loki’s need to test his brother, he influenced Storm to wield the StormCaster making her the Goddess of Thunder. If Storm retains her mutant powers while acquiring additional powers with StormCaster, is she stronger than Thor at that point? With the X-Men series making it to the big screen, comic fans got a chance to see the weather goddess in action. Halle Berry portrayed Storm in the majority of the films series, then Alexandra Shipp played a younger Storm in X-Men: Apocalypse. Is this the last we will see of this character or will there be a new Storm if X-Men was ever rebooted? Comic Multiverse fan favorite artwork of Storm goes to the DeviantArt artist ArtGutierrez.